Ready to Check Out NYC Ballet's The Nutcracker? What will the 2018 production of this Christmas classic hold for audiences? We’re here to fill you in on all the pertinent details you’ll need to know before you head out to see the show. Read on to learn about where, when, how, and everything else in between. What’s the Nutcracker All About? 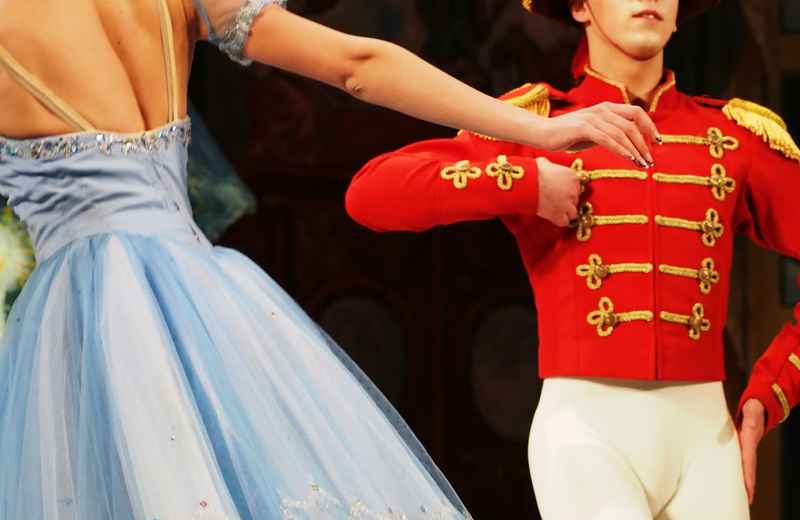 The Nutcracker is perhaps the most memorable of all Christmas ballets. The original two-act production was choreographed by Marius Petipa and Lev Ivanov, scored by the legendary Pyotr Ilyich Tchaikovsky, and adapted from The Nutcracker and the Mouse King by ETA Hoffmann back in December of 1892. It’s an embodiment of the magic of Christmas, and thrilling show for children and adults alike. Again, the score is truly one of the most memorable around, and even if you’ve never seen the ballet in the flesh, you’ve likely heard Dance of the Sugar Plum Fairy at some point in your life. Why not see it live this time? The NYC Ballet will be your ticket for viewing one of the most classic renditions of this popular performance. And just what is it that makes this performance so enthralling? Part of the equation is the fact that this is the George Balanchine interpretation of the tale. If you weren’t already aware, Balanchine’s rendition, which debuted in 1954, is the most popular version of The Nutcracker in the United States. Balanchine himself is one of ballet’s most enduring figures, dubbed the Father of American Ballet and the founder of the New York City Ballet, so it makes sense that the inheritors of his style would know how to put on the most thrilling adaptation of his vision. That vision, by the way, includes some “90 dancers, 62 musicians, 40 stagehands and more than 125 children, in two alternating casts from the School of American Ballet.” It’s a true spectacle, aided by “elaborate stage elements and intricate lighting” that “unleash the viewers' imagination by providing visual effects that are extraordinarily grand.” Perhaps most eye-catching is the one-ton Christmas tree (which grows from 12 feet to 41 feet) a stunning technical achievement no matter how you slice it. There are even more fun facts about The Nutcracker out there. Did you know, for instance, that the Sugarplum Fairy’s tutu is made of 7 layers of tulle or that there are 144 jingle bells on each of the Candy Cane costumes? Little details like these just make the show feel that much more magical, and now that your interest has been suitably piqued, you’ll probably want to know how you can catch the performance this year! First things first, you’ll definitely want to check out the NYCB Calendar to see all of the performance dates and find out when you can attend. The Nutcracker will be running from November 23rd to December 30th, so there are plenty of opportunities to see a show, but you’ll want to get those tickets early to make sure you can snage the best seats in the house. Those tickets, by the way, are on sale now, and cover several options for seating in different sections. Be sure to get yourself a great view of the action and enjoy when you bring the family along to what is sure to be another amazing production of this essential Christmas story. If you’ve a penchant for the ballet, theatre, and other fine displays of live performance, there’s no better place to be than fabulous Manhattan communities like Renoir House. With its superb location — right in the heart of the opulent Upper East Side, you’ll have prime access to many of the city’s most vaunted cultural institutions. This is the way to go if you’re all about city living, so be sure to inquire about our availability and learn how to make Renoir House your new home in NYC.